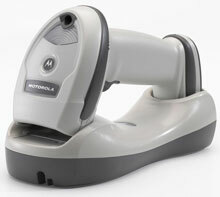 Motorola LI4278 - USB Kit, Linear Imager, Cordless. Includes Standard Cradle (Radio/Charger) and USB Cable. Color: White. For faster charging purchase power supply (Part# PWRS-14000-253R). 1 Year Zebra OneCare Service Center Essential. Does not include Comprehensive coverage. Includes coverage for cradle. 3 Year Zebra OneCare Essential. Includes Comprehensive coverage. Includes coverage for cradles. The Motorola LI4278-TRWU0100ZWR is also known as MOT-LI4278TRWU0100ZW	or LI4278TRWU0100ZWR	.